Home Entertainment Memorial Tugende Mu Kikadde Revamped In Second Edition. Memorial Tugende Mu Kikadde Revamped In Second Edition. 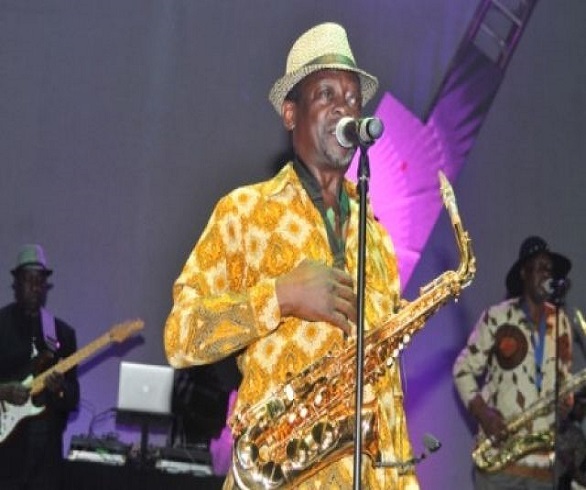 After watching almost all the music legends in Uganda perform on one stage in the same night last year at Kampala Serena hotel, the famous Tugende Mu kikadde vintage show is back in the city with many performers expected. After close to one year, Tugende Mu Kikadde has remained one of the most attended and well organized events in Uganda. The dresscode and clear sound among others are incomparable to any music shows. Thanks to Sprout Africa. Indeed, Old is Gold. On 6th May 2017, Serena Hotel was flooded with a number of musicians, celebrities, socialites who witnessed the veteran singers and instrumentalists doing the magic included the beautiful Rema Namakula, Lydia Jazmine, Nina Roz, Leila Kayondo, Jose Chameleone, Jack Pemba just to mention a few. This event gave an opportunity to many Ugandan singers who owned the music industry in the 90’s and early 2000s. Among these included Mariam Ndagire, Afrigo Band’S Joanita Kawalya, Eddie Yawe, Moses Matovu,, Kabuye Ssemboga, Mama Halima Namakula of the ‘[ekimbeewo’ hit song. These left the audience mesmerized with super organized performances. According to the organizers, Tugende Mu Kikadde is not just an event but it’s a giant back to roots party which gives the singers who ran and owned the industry with their lyrically rich danceable tunes. And the good news from Sprout Africa the proud Sponsors and organizers’ of the memorable show is, the Tugende Mu kikadde vintage show didn’t only happen in 2017 but will also happen again even bigger and better. According to Sprout Africa, Tugende Mu Kikadde Season 2 will be held at Serena Hotel on the 5th of May 2018 and many veteran artistes whose names are yet to be revealed very soon will perform that night. Previous articleOmojoye’s Dr.Jazz Releases New Video: All For You. Next articleMukono, Wakiso Lead In UCE Exams Performance. Find More Details Here.